Electric log splitters can save you a lot of work, wood chips and ax or hatchet time. In addition to splitting rounds with continuous force rather than a sharp edge, these powerful tools offer a cradling chute that reduces the risk of missing the log and having it roll onto your foot. 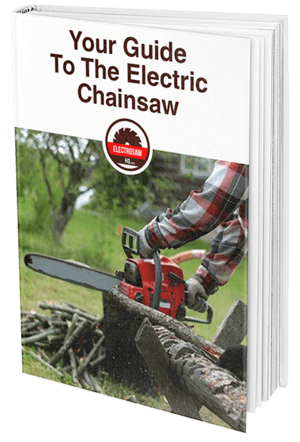 In this guide, you'll find 5 useful electric log splitter reviews to help you find the right one for your needs. Who Needs A Log Splitter? If your wood consumption is limited to an occasional fire on a cold night, a wood splitter is probably not worth the investment or the amount of garage space you will lose in storing it. However, if you have access to a woodlot and plan to heat your home regularly with wood, a splitter is a great tool and can help you reduce large, ungainly rounds of cut wood into usable firewood. Wood will dry once it's cut, even if you don't keep it undercover. If your region is susceptible to outdoor burns or wildfires, do not store your firewood near your home. Additionally, wood piles can be a cozy home for rodents, bees, and wasps. If possible, set up a covered area for your firewood to dry that isn't attached to your home. Placement: Your electric firewood splitter will need access to power. Arrange your log splitter so you're not repeatedly stepping over the cord, either to stack wood or to place rounds in the path of the wedge. The primary features of any log splitter are the wedge and the bracing plate. Always set up your splitter so the path between these features is easy to get to and easy to get away from. People: Consider working alone. Distractions can be extremely dangerous when working with loud tools, and wood splitting rams are often unforgiving. If you have a partner you're very accustomed to, another option is to rotate so that one of you is loading logs while the other person picks up the pieces that are ready to stack. No matter how many people are working the site, make certain that nobody approaches the splitter while it is engaged; that is, while it is driving the log against the wedge. No electric log splitter review would be complete without mentioning that this tool is not a good family project purchase. The rams on these splitters don't move especially fast, but if you've got distractions such as little fingers in the area, an injury is possible and it may be severe. Unless your wood consumption is quite high or you know you can work in solitude or with one other responsible and knowledgeable worker, it may be cheaper to pay for firewood until the kids are a little older. Small Log Splitters: It's also important to have only one person controlling the start lever. Small firewood splitters have a short path from the wedge to the bracing plate, so once the wedge starts moving you need to have your hands out of the way and your feet in a safe spot. The person loading the splitter should be the only one with their hand on the start lever.It's critical to note that the word "small" is relative. Large log splitters can weigh in at over 300 pounds. The smaller units run around 100 pounds. You'll need a dedicated space for whichever splitter you buy and you may need help setting it in place when it's time to split firewood. Gear: Eye protection, gloves, and sturdy footwear are a must. Long sleeves will protect you from getting scratches, but keep any jackets or heavy shirts zipped or buttoned to reduce the risk of getting tangled in machinery. As very large logs split, they might roll off the splitter, so keep an eye on your feet and stay out of the way of the splitter as it's engaged. You may need to place large split chunks of wood into the splitter again.If you notice insects hanging around your wood pile, protect yourself against mosquito bites and midges before you go out. Should you see wasps or bees out there, arm yourself with a can of wasp spray before you go out. Try working during the coolest part of the day; if you do stir up any stinging insects, they'll be slower in the cold. Logs of wood are heavy. If you're working with extremely large chunks, it may be wise to work with a log splitter that can be oriented vertically as well as horizontally. Barring that, be ready to turn off the splitter and ask for lifting help. Once the big pieces are loaded, have your helper step away, run the wedge, and reload the wood as necessary. It's said that firewood warms you three times: Once when you cut it, once when you split it and again when you burn it. Bending to pick up wood, stacking and arranging it and carrying it into the house all tak​e strength and may put your back at risk. Take frequent breaks and some time to stretch. The Boss ES7T20 produce 7 tons of pressure as the ram travels, driving the log into the wedge. This unit comes with a 2-year warranty and features one-handed operation. The cradle consists of a strong metal tube, bent into a "u" shape and the front of the "u" serves as the handle. This may not be the best electric wood splitter if your soil is especially soft or if the ground near your woodpile is rough. The casters are narrow, and the legs on this unit will sink into wet or loamy soil. If you've got large logs to split, this hydraulic wood splitter offers 6 tons of pressure. It rides low to the ground, so you don't have to lift the wood you're splitting very high. The casters are wide and should travel over soft ground efficiently, but the motor housing is quite close to the ground, so take care not to knock it against rocks or stumps. The Pow' R' Kraft 65556 is also low to the ground, but offers a wide, flanged cradle for your logs. You'll likely have more control of falling wood as the ram retreats from the splitter. This is one of the most versatile small firewood splitters listed as it will split logs up to 20 inches long. 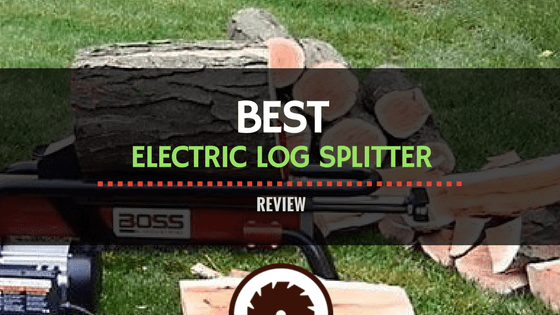 No electric wood splitter review would be complete without a professional grade tool. The Swisher LS22E offers 22 tons of splitting power and has a trailer hitch for easy towing. The shipping weight is over 550 pounds; be ready for a truck delivery and make sure you have mechanical lifting assistance. For anyone hoping to clear a large woodlot or hoping to start their own firewood business, this is an extremely durable tool. It orients both vertically and horizontally, so if you've got extremely large logs that you can't lift, simply rotate the splitting wedge per the instructions and you can split down into the stationary log. The Ramsplitter is one of the few log splitters listed that can handle a professional firewood workload. This unit is towable via garden tractor or ATV and can be oriented horizontally or vertically. The delivery weight is over 300 pounds, so make sure you're ready and have some help! Unfortunately, the log cradle on this tool is not robust. Be prepared to rotate to vertical if logs won't stay stationary on the Ramsplitter. Narrow log cradle, may lead to dangerous rolling of logs while waiting for ram to engage. For home use, the best electric log splitter on this list is the Goplus 1500W because it will be easy to roll over soft ground, has a great cradle for logs and will be easy to load. It's low to the ground and offers 6 tons of power. In addition, you have to hold down the power button as the ram feeds, so it will be hard to injure yourself. Read your manual, make sure you add the right fluid and protect your hands and eyes. Of course, the world's easiest log splitter is the one you don't have to maintain, store or use. If you have a good source for firewood and are hoping to split your own to reduce costs, be sure to schedule the time needed to do the splitting, and figure in the hassle of storing the splitter and the work inherent to either cutting or transporting your own logs. However, if you have a woodlot or a bunch of trees to clear and have a use for firewood, a splitter can make the process of turning trees into manageable firewood a lot easier.